True dedication and passion at Arroma junction. 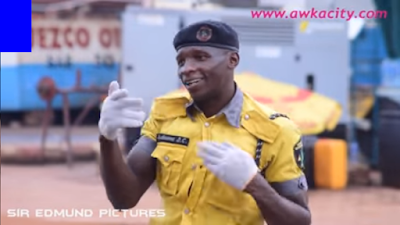 The Anambra Traffic Management Agency (ATMA) warden named Ifedioramma D.C was spotted dancing with passion and happiness as he controlled traffic at the popular junction. It was gathered that he does this everyday for a long time now. He is usually spotted at the early hours around 8:00am , in the afternoon and evening time whenever there was traffic as he was the only one that can man that junction and help reduce the traffic. Many says Mr ifedioramma deserves award for dedication.